David Shannon introduces his exuberant new book Bizzy Mizz Lizzie about over-scheduled children (and adults) with good humor, fun and heart. He'll present it at Kepler's Books - get a ticket (they're free). About the book: "Lizzie is the busiest, buzziest bee in Hivetown. 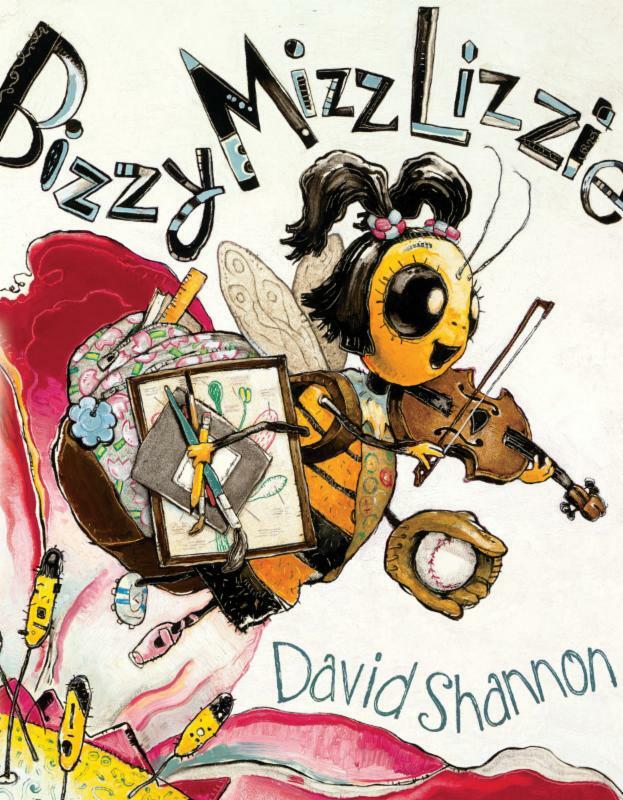 Shannon's vivid artwork and Lizzie's endearing efforts to "do it all" will make children laugh aloud at her frantic antics as she juggles school, multiple sports, dance, violin, and art. With charm and determination, she longs to impress the Queen by winning a spelling contest, but she studies to the point of exhaustion. When she dozes off in the middle of the competition, the only solution is rest and her refreshing visit to the local Garden finally teaches Lizzie to stop and smell the flowers "which is exactly what bees are supposed to do." David Shannon is the internationally acclaimed creator of more than thirty picture books, including No, David!, a Caldecott Honor Book and his second New York Times Best Illustrated Book of the Year, A Bad Case of Stripes, Duck on a Bike, and Too Many Toys! Don't miss this opportunity to meet the ever popular David Shannon and discover a new favorite read. 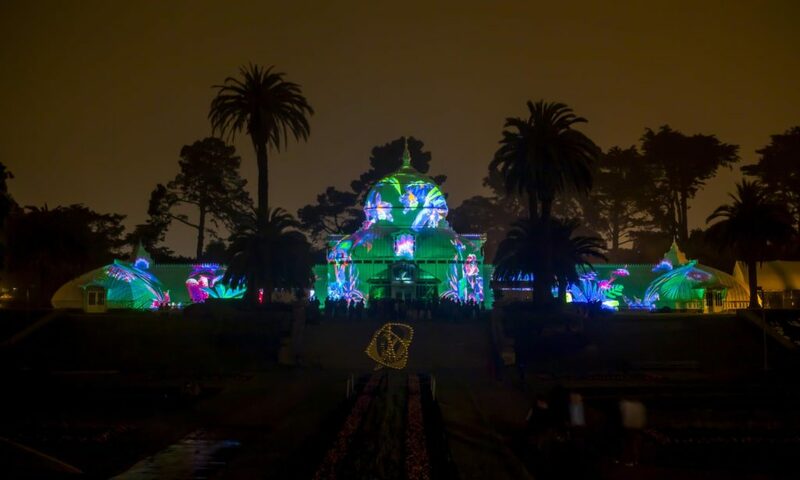 Cue to popular demand, the Photosynthesis continues through November 26th at the Conservatory of Flowers in Golden Gate Park. This landmark became the canvas for Photosynthesis, an elegant public art installation to honor San Francisco’s citywide celebration of the 50th Anniversary of the Summer of Love. Photosynthesis is a special project presented by Illuminate, the nonprofit arts group behind the Bay Lights, in partnership with San Francisco Recreation and Park Department, and Obscura Digital, a world-renowned creative studio specializing in large-scale light-based art. The installation at Conservatory of Flowers represents the world's most sophisticated use of gobo projectors to transform the all-white 138-year-old structure with a series of exquisitely illuminated scenes inspired by the rare tropical flowers within and the legacy of San Francisco’s flower children. What: An "out of this world" Halloween event, this year's event will feature a costume contest and parade, haunted houses, hay rides, carnival rides, giant inflatables, food for sale and live entertainment. Cost: $10 per person; children under 2 years old are free! Tickets are now available at the McLaren Lodge Annex (501 Stanyan Street in Golden Gate Park) Monday through Friday, from 9 a.m. to 5 p.m., until the day of the event. What: Free pumpkin patch, trick-or-treating (bring a bucket), vintage costume shopping, design your own pumpkin workshop. 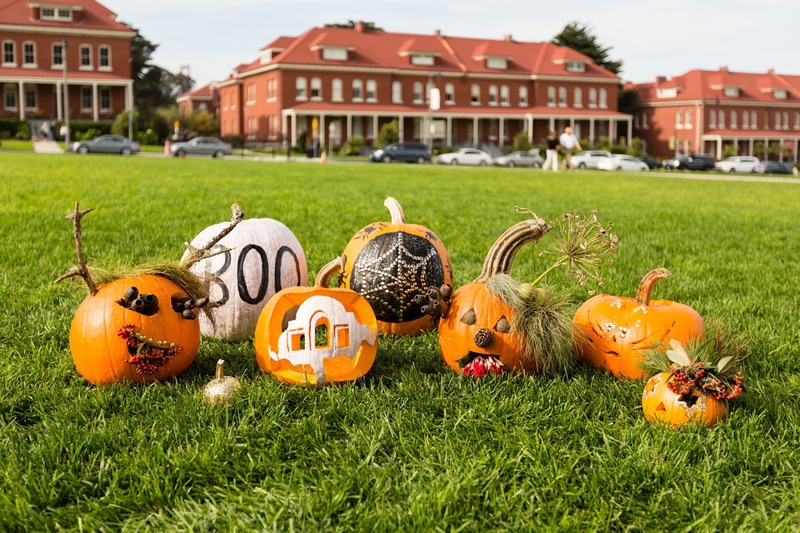 Each day the first 1,000 people can pick out a pumpkin of their liking. Costume contest for adults, kids, and dogs at 2:00 each day. Design your own custom Halloween jewelry workshop ($8). Dia de Los Muertos design your own sugar skull workshop ($2). Kid Zone hosts vintage hot rod race tracks, giants bubbles, a building block play house, face painting and bungee jumping. Live music. 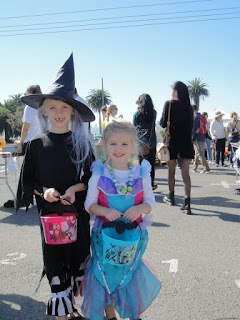 What: Pumpkin decorating, face painting, Halloween treats, spooky haunted carriage rides, festive games, a costume parade for kids, mystical magic shows, doggy costume parade, festive photo booth and more. What: Helicopter pumpkin drop at noon. Specially-decorated museum gallery, search for hidden clues in a quest to a special reward. Take part in Halloween carnival games amid museum aircraft, and visit eerie Invention Lab to mix Spooky Slime and experiment with the amazing Boo Bubbles! Visit with their witch and sign her pumpkin to prepare it for its final flight! Join the witch’s creepy costume review as she takes flight, not on broomstick, but in a helicopter! Then, count down the seconds to the orange gourd’s fateful fall as the witch drops the pumpkin from her airborne perch, dropping it to the tarmac below. The Bay Area Science Festival runs October 26 through November 11, with Discovery Days events all around the San Francisco Bay, like in the North Bay at the Sonoma County Fairground on October 28, at Cal State East Bay on the same day, and at AT and T Park on November 11. With more than 200 hands-on activities plus exhibits and performances, it's a lot of fun. The Discovery Days are aimed at kids 0-14. Explorer Days include more than 20 tours, like hikes to see the San Andreas fault, with a geologist, or seeing a deep ocean exploration manufacturing center. All are hosted by scientists or engineers. As for performances, look for Radiolab and the Food Network's Alton Brown. Some activities are adults-only, and others welcome kids. Some are free, some have a fee. 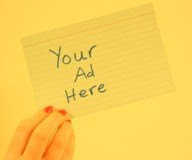 Go through the schedule and see what interests you. This weekend, get outside for the 35th annual Sandcastle Classic, Northern California's biggest sandcastle competition. The building gets started at 11, and you can wander around watching them build while listening to live music performances. Food trucks will be on hand to feed you. The event benefits arts education for SF youth. Volunteer spots are open for some of the teams, and everyone can help build the community castle.